We read that "Reebonz founders conducted market research into consumers' buying patterns online, which eventually sparked off the idea of Reebonz". We read that "Reebonz founders conducted market research into consumers' buying patterns online, which eventually sparked off the idea of Reebonz". That sounds interesting, what are the buying patterns that Reebonz learned initially? In 2009, we discovered two main trends in e-commerce. Firstly, consumers were starting to become more comfortable with online transactions and secondly, Asians’ desire to own luxury goods was massive. Online shoppers were actively looking for attractive offers from the Internet and more convenient shopping alternatives in this region. Capitalizing on this trend, our co-founders established Reebonz in Singapore in the very same year by introducing the flash sales concept for luxury shopping. This interesting concept was well received by our members because we offer great limited time offers and a freshness of merchandise to the website every day. Just like AirAsia’s “Now Everyone Can Fly” tagline, we want everyone to be able to own at least one luxury item, and for him or her to gladly say that they bought it from Reebonz. We managed to successfully capture this buying psychology and make luxury accessible to everyone until today. Over the years, business has expanded rapidly to many parts of Asia including Malaysia, Thailand, Indonesia, Australia, Hong Kong, Taiwan and even Korea. Currently, we carry more than 800 designer labels in our portfolio such as Prada, Miu Miu, Tod’s, Givenchy, Salvatore Ferragamo, LongChamp and Coach (just to name a few of the popular brands here). We have also established ourselves as one of the most trusted online brands in Asia and built up the operational capability to ship luxury products to more than 21 countries. Everyday, we display few million dollars worth of stocks in our website, and we occasionally organize exclusive offline events with our business partners in hotels, shopping malls & premium offices. Why luxury online shopping always offer “members-only” private sales, is it mainly due to the “exclusivity factor” or what is the reasoning behind? Yes, “members-only” undeniably offers exclusivity to customers, as they are kept informed of new brand arrivals, promotions and events we organize when they sign up with us. But today, we have stopped hiding our items behind a sign-up page. Reebonz will only require visitors to register when they are ready to make a purchase. Alternatively, visitors can opt for the simple one-click registration through our website’s Facebook Connect button. We have made it as convenient as possible to shop in Reebonz, further enhancing their luxury shopping experience with us. Since Reebonz has a Luxury boutique in Bangsar Shopping Centre, is physical expansion one of your plan? Is brick & mortar store an important element to build trust with your customers? Our retail presence in Bangsar, Kuala Lumpur is called Reebonz SPACE, a premium multi-brand luxury boutique that is only accessible to our members in Malaysia. To enjoy intimate shopping moments for our extensive range of luxury labels, all members are required to make an appointment with us prior to visit. Although more than 95% of Reebonz Malaysia’s business revenue stem from online transactions, having a luxury boutique provides re-assurance to customers purchasing online when they interact with a reliable team of customer service personnel offline. That said, it is not enough to just establish a brick and mortar store but it’s the personalized services that will eventually give new meaning to the retail environment. As Reebonz is selling big ticket items online all this while, how do you enable or persuade customers placing big order online? What kind of payment options do you offer in Malaysia? Online shopping for premium products is all about trust & value. Customers have to feel comfortable placing big orders with us. In order to do that, they need to first trust us. 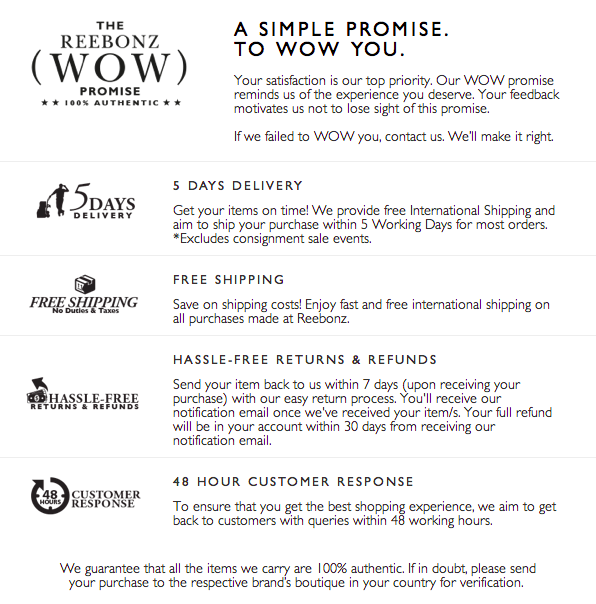 With our Reebonz Wow Promise in place, we make sure we meet, if not exceed, customers’ expectations on issues such as delivery, customer response and hassle-free returns and refunds process. Customers’ satisfaction is our top priority and this is important in building their trust with us. Over the years, we positioned ourselves well to earn the trust & respect from our loyal members. All our items are 100% authentic and our Reebonz Wow Promise has really encouraged shoppers to purchase from us with peace of mind. I truly believe that good shopping experience and positive word-of-mouth recommendations carry a lot of weight to boost buyer’s confidence in an online brand such as Reebonz. As for the Payment Options in Malaysia, shoppers can checkout via Visa / Mastercard, PayPal and 0% Installment Payment Plans with over 8 banks here. 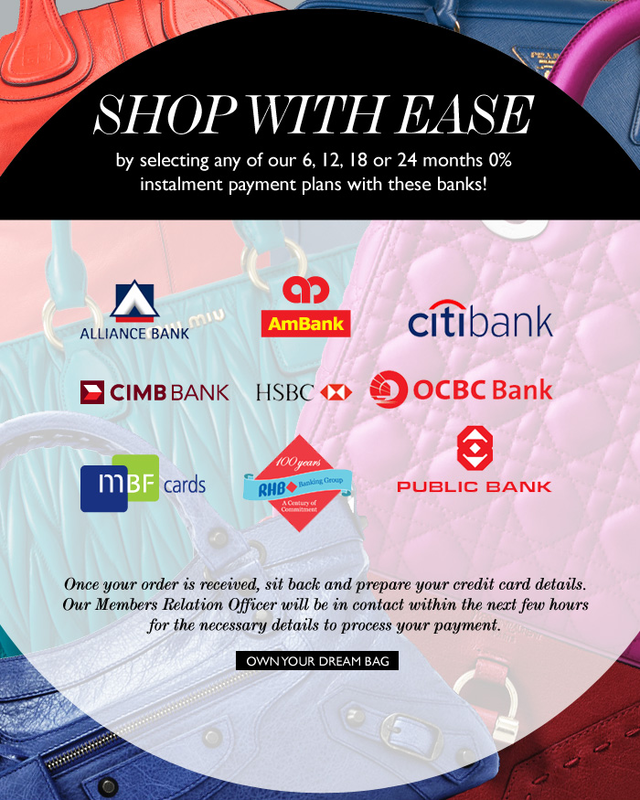 Read also: What payment methods do top e-commerce websites in Malaysia accept? To what extend that Reebonz has captured luxury market share in countries like Singapore, Malaysia and Thailand? What kind of traffic or order volume that you can disclose? Due to our corporate policy, we are unable to disclose the traffic or order volume for each country. However, we are proud to let you know that our total membership base across the group has grown to more than 2.3 million. As Reebonz has launched Reebonz Vintage (marketplace for pre-owned designer goods), is marketplace a different ball game for Reebonz and how does it perform so far? Our Reebonz Vintage business started in Singapore earlier this year and offers an interesting business model in the pre-owned marketplace. This new business model is rapidly growing in Singapore and we have already expanded the operations to Hong Kong and Australia. As for Malaysia, we are in the midst of preparing all the groundwork before we launch this in a larger scale in 2014. We are currently constructing a robust Reebonz Eco-system for our members to enrich the shopping journey for our buyers, sellers and merchants, and I am very confident that this Reebonz eco-system will redefine online shopping for consumers at a whole new level. How about Kwerkee? 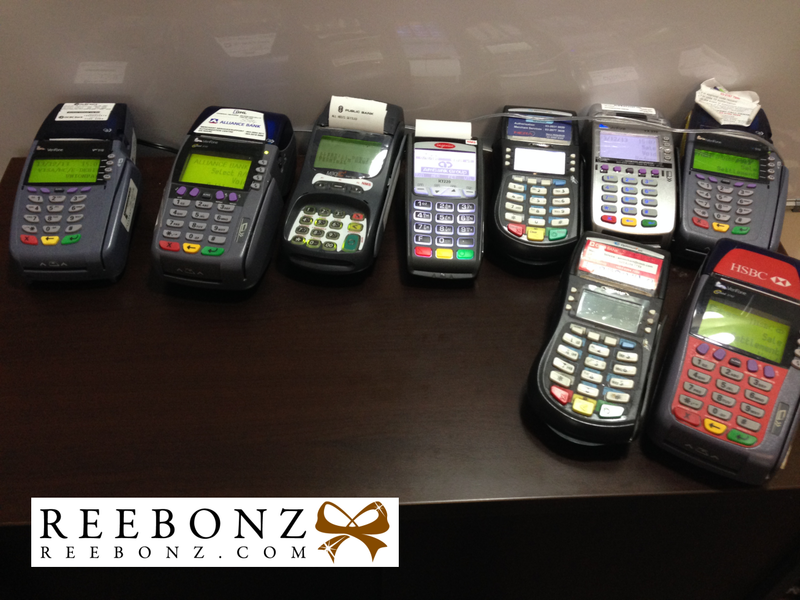 Do you foresee Reebonz playing into other verticals or marketplace in the near future? We only pick out the queer, the peculiar and the bizarre. It’s an e-commerce business whereby we consolidate the city’s most imaginative design source (hence the name ‘kwerkee’). There will be many interesting business ideas that we are building on top of the Reebonz Eco-system and I look forward to share some cool ones with you in the near future. What kind of synergies do you expect with the latest round of investment led by MediaCorp? We are expecting more content, marketing and brand building synergies between the creative teams of Reebonz and MediaCorp to build on the concept of luxury you can trust. We’re looking forward to the development of brand resources from HQ, which can be locally adapted to grow the global footprint of the brand not only in Malaysia but also across the Asia Pacific region. What are the important elements or values that investors evaluate before investing on e-commerce businesses in this region? Here’s a interesting fact: Over 50% of our purchasing members are repeat buyers, and one of the main reasons they keep coming back to Reebonz is because we offer the widest selection of branded items such as handbags, wallets, watches, jewelries and shoes for both Men & Women. And they earn loyalty points each time they shop with us. In short, we offer the BEST to our customers in this business. As mentioned earlier, we are building a robust eco-system and all our investors recognize Reebonz’s vision to build a healthy and sustainable business here. Investors love companies with good track records, and we are proud to be one of the most promising and fastest growing e-commerce businesses in this region. What are your takes on e-commerce growth and potential in Malaysia? Malaysia is a great marketplace and offers many opportunities to grow our e-commerce business. Our multi-cultural population makes it interesting to capture consumers from various market segments. Reebonz has and always been actively working with premium business partners on our go-to-market initiatives so that we always have something fresh to offer to our members. It is really an exciting experience to cooperate with players from various industries such as banks, oil & gas, insurance, premium property developers, telecom operators, travel agencies, luxury automobile makers, and even the higher-education sector. We will continue to innovate to seize great business opportunities in this wonderful country, Malaysia. What are your advices for anyone who wishes to start an e-commerce business here? To be successful, you need to be passionate in the business that you are building and possess a very strong desire to succeed and prove your business ideas / concepts. The "Working Together Principles" in Reebonz encourage our people to constantly experiment with various go-to-market ideas before we put in large-scale investments. It also makes us more resilient because we never give up despite countless failures before getting it right. I believe all successful start-ups have good business ideas or interesting business concepts that they want to prove. And having a strong team of dedicated individuals is a major plus point because it provides young start-ups the energy and stamina to go the extra mile to be their best in specific market space. We are able to scale Reebonz’s business because all of us take great pride in our reputation for high quality products, great value and excellent services. The Reebonz eco-system that we are constructing in the pipeline will be the next evolution of our business. It is in our DNA to maintain the highest standards in the business and provide the ultimate luxury shopping experience for our members.